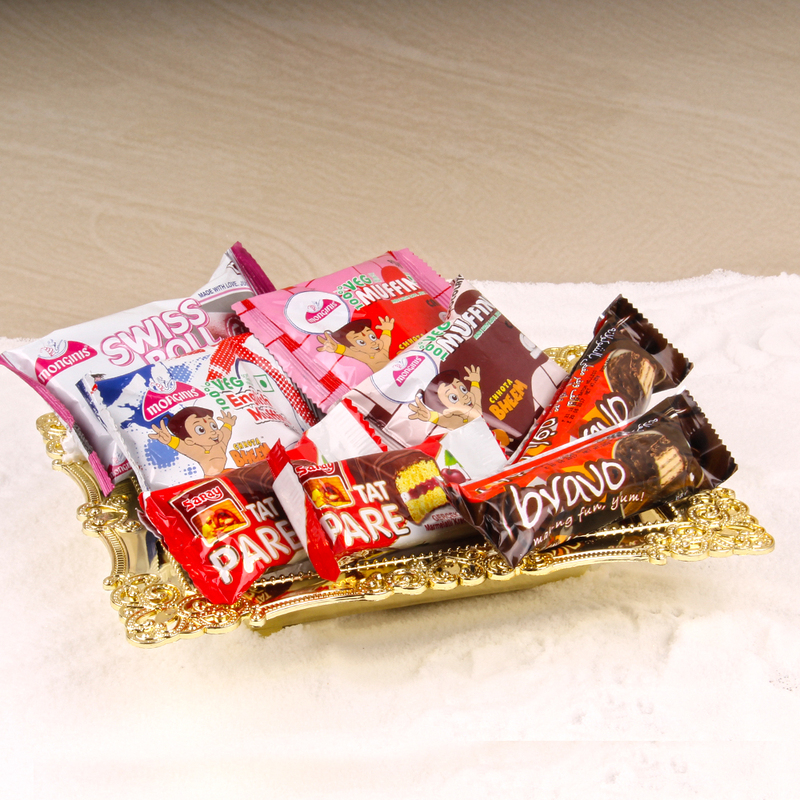 Product Consist : Bravo Chocolate and Cakes like Tat Pare, Swiss Roll, Muffins (Total Weight : 400 gms) nicely arranged in a Designer Tray. 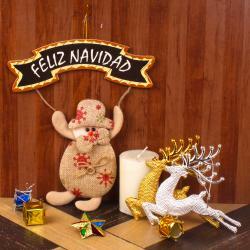 Speak out your heart with this fabulous Christmas hamper brought to you by Giftacrossindia. 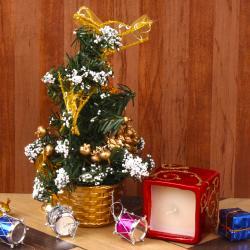 Gift it to your loved ones and make them feel special on special Festival like Christmas. The Hamper includes Bravo Chocolate and Cakes like Tat Pare, Swiss Roll, and Muffins. This gift is suitable for every one and surely delights this to yours special friends or family members in India. 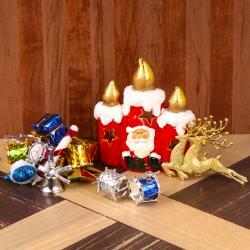 So go ahead and buy this Christmas hamper on one click. Product Consists : Bravo Chocolate and Cakes like Tat Pare, Swiss Roll, Muffins (Total Weight : 400 gms) nicely arranged in a Designer Tray.